The old washer at one of the orphanages in Vladivostok. 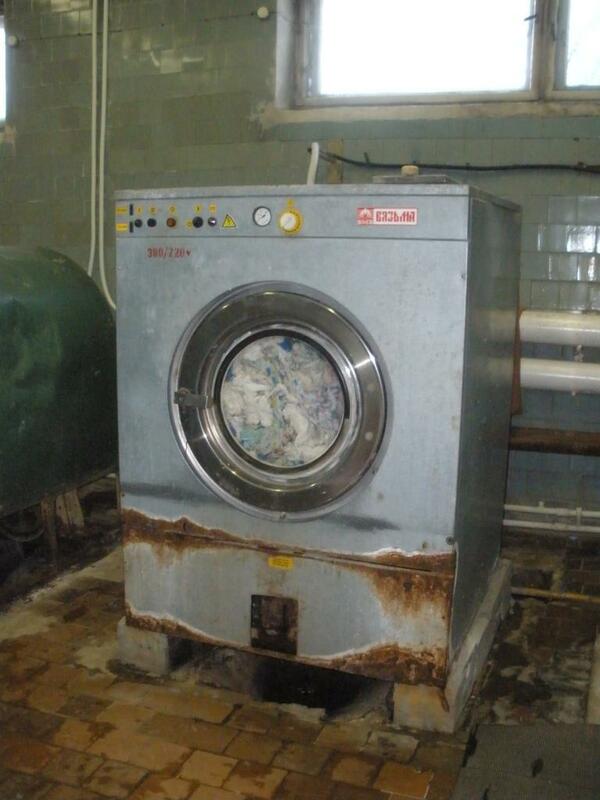 With a generous grant from a benefactor, we were able to replace this with new equipment. All major cities (and many smaller ones) across Russia have at least one orphanage. Typically, the facilities are understaffed and the children have little human contact. We have worked with our local orphanages almost from the very beginning, and have developed several programs to assist the children. So far, we have provided water heaters, laundry equipment, and window air conditioners for the facilities, and have provided food supplements, clothing, and playground equipment for the children. We operate a wonderful program whereby retired persons serve as “grandmas and grandpas” for the children. Monthly stipends allow senior citizens to spend several hours each week with the kids. This not only provides loving social interaction for the orphans, but also helps seniors who are on limited incomes. More information about the program can be found here. Members of mission teams usually visit the orphans and spend time playing with them. Our seminarians and Sisters in Jesus the Lord also visit the children regularly. Orphanage staff tells us that they’ve noticed a positive change in the children since the visits began. They are more outgoing now, less fearful, happier, and more responsive. 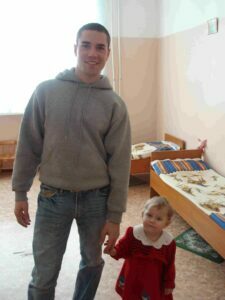 Brian, a volunteer in Vladivostok, visits with one of his friends at the orphanage. In March of 2013, we hosted a 3-day seminar on childhood development, detachment syndrome, neurological development in children, fetal alcohol syndrome, and related topics. The seminar was held at our parish in Vladivostok and involved the efforts of the mission society, Caritas, Sails of Hope, iOrphan, and Orphans at Play. The focus was on orphans in Russia and featured two internationally known Russian researchers. An excellent article about the conference is in the Vladivostok Sunrise newsletter, No. 111. To help us continue this vital work, please click below.